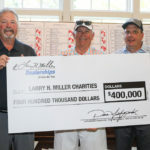 Employees of Larry H. Miller Dealerships, vendors and business partners gathered on a beautiful, sunny Monday for a friendly game of golf in the name of charity. 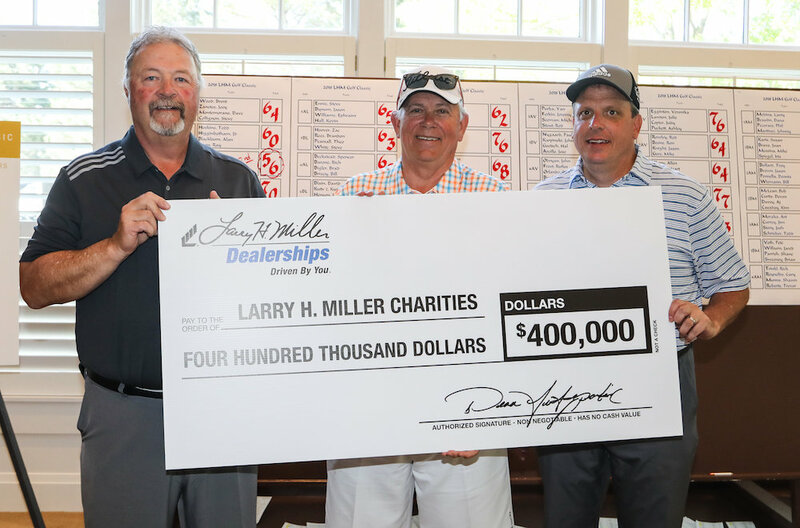 Following the tournament the dealership group presented a $400,000 check to Larry H. Miller Charities, the charitable arm of the dealership group. 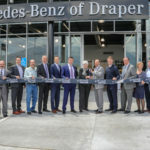 Pictured below: Pau Nygaard and Dean Fitzpatrick of Larry H. Miller Dealerships present a donation to Jay Francis of Larry H. Miller Charities. 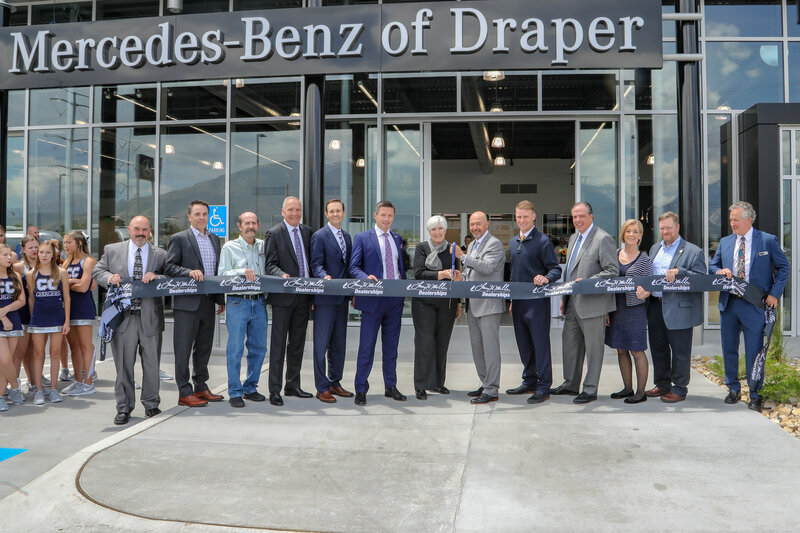 The newly reconstructed Mercedes-Benz of Draper celebrated its grand opening on June 18, featuring entertainment by harpist Cindy Moody and presentations by Draper City Mayor Troy K. Walker, representatives from Mercedes-Benz USA and Gail Miller. The Cliff Dining Pub and Bake360 provided food. Intermountain Healthcare has named Lisa Paletta as the new CEO and Hospital Administrator of Alta View Hospital. Paletta’s career at Intermountain includes service as the Senior Nurse and Executive Director of Enterprise Care Management, as well as the Chief Nursing Officer for the healthcare company’s Utah Valley Regional Medical Center. At Alta View, Paletta has encouraged the hospital’s caregivers and volunteers to create an extraordinary healing environment through skills, attitudes, and services. Paletta assumes the responsibilities of Blair Kent, who has moved to Intermountain Medical Center. Draper City Fire Department lost Fire Marshall Bryan Thatcher on early Friday, when he died unexpectedly at his home. “We are extremely saddened by this tragic event and are left trying to find the words to express our sorrow,” said a statement on the Fire Department’s web site. Thatcher was hired by the department in June 2017, having worked previously in Layton and Riverdale. He worked for 17 years in fire prevention education, including as a deputy with the Utah State Fire Marshal’s Office.